This is a great moment for Japanese photography connoisseurs and enthusiasts. For a long while now, photographic japanophilia was an interest that had to be nursed solely with foreign book purchases, the rare North American exhibition (or the less-rare European one), and abundant, if limited, use of google translate. If you’re an English speaker for whom Shinjuku, Japan is as far away as Mars, 2015 might just be the year that Japanese photography comes to you. There are an unprecedented number of events, exhibitions, publications and unclassifiable wonderfulness related to Japanese photography that is in explosive abundance this year. While those in the European photo scene have been in-the-know for some time now, it would appear that Japanese photography is having its moment stateside. Below is a list of things current and upcoming in the world of Japanese photography (read: All the places I want to go…All the things I want to see…All the books I want to read, er, own…). This is the catalog for the exhibition of the same name, currently at the MFA Houston (see below). Edited by associate curator Yasafumi Nakamori and Allison Pappas: For a New World to Come provides a thought-provoking look at photography-based works and other works by twenty-nine post WWII era artists, including such well-known names as Nobuyoshi Araki, Koji Enokura, Daido Moriyama, Hitoshi Nomura, and Jiro Takamatau, among others. International scholars discuss their innovative works, many of which have not been published previously outside Japan. I was born at the beginning of the Showa Era. There was a great war during my boyhood and then I lived during the period of re-construction and growth and now I slowly approach the evening of life. Through these photographs the cosmology is an illusion of the firmament at the same time it includes the reality of an era and also the cosmology of a changing heart. A generous preview of the book is available on the publisher’s site. Pre-order copies are for sale there as well as at Photo-eye. Image from the monograph Toransupearento, by Daisuke Yokota. Toransupearento, by Daisuke Yokota. Newfave Books, 2014. Edition of 450. Daisuke Yokota is probably one of the most exciting (to me, but to others as well) new and young Japanese photographers working at the extreme edges of the photobook form. 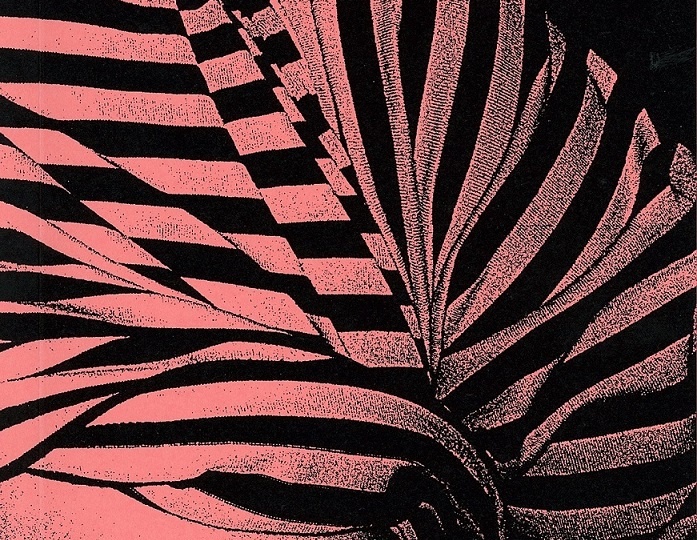 Deemed “The Unpronounceable Yokota book” by a friend of mine, it’s considered by the publisher to the be the “hallucinatory sibling” of another photobook by Yokota published earlier in the year, Vertigo. I’ll be writing more about Daisuke Yokota’s work in the near future, but suffice it to say that I think enough of his work to be snatching up titles left and right. They are released in very limited editions of usually < 500, and my hunch is that he is on the verge of exploding onto the international photography scene (in as much as one explodes into that sphere). Daido Moriyama, A Room. Akio Nagasawa, 2015. Printed as part of a print-show event from last month, wherein collectors could participate in the editing sequence of their own books, there are three limited editions, with different covers and sequencing: a collector’s edition (edition of 100), A Room Type A (250 editions) and A Room Type B (250 editions). Unusually these days for Moriyama, the subject matter of the book is pretty discretely contained: one woman, one room, all the way through the book. Copies are available from the publisher and from the UK’s Photobookstore. 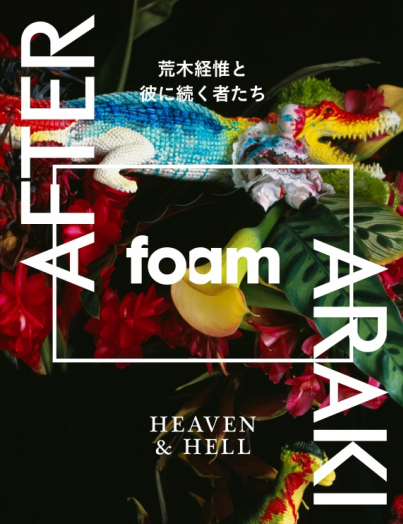 The current issue of Foam Magazine is, in a sense, all about what is fecund and fresh in the world of contemporary Japanese photography. Taking the legacy of Nobuyoshi Araki as a point of departure, the issue features beautiful reproductions and engaging, knowledgeable essays focusing largely on the work of many contemporary young female photographers, working from both within and without the looming shadow Araki casts on image-making and book production: Mayumi Hosokura, Nomura Sakiko, Momo Okabe, Azuma Makoto, Hiromix, Emi Anrakuji, Lieko Shiga and Daifu Motoyuki. And of course, a generous heaping portion of Nobuyoshi Araki himself. You can preview the entire issue here, and you can purchase it here. Cover of forthcoming issue of Aperture, #219, The Tokyo Issue. The city will not be a mere backdrop for photography, but rather the character of Tokyo itself will be explored as a principal protagonist within the narrative of Japanese photography. This immersive editorial approach will yield a rich, in-depth look at the city’s current dialogue around photography and will be essential reading for anyone interested in photography from Japan. You can of course purchase the issue singly directly from Aperture, or you might find it in a bookstore (do those still exist in the U.S.? ), but if you subscribe or renew a subscription, you will also receive The Photobook Review newsletter, published at the same time, and which will also be focused on Japanese photography. There are more Japanese photography exhibits this year here (in the U.S.) then I ever remember knowing about in any year previous. In the case of the generous exhibition schedule in NYC this spring, you can thank Ivan Vartanian, author of Japanese Photobooks of the 1960s and 1970s, founder of Goliga Books and Program Director for the inaugural Shashin: Photography from Japan festival taking place in New York this April and May. To coincide with the Shashin event, which will include a 2-day symposium, artist talks, book performances, films and more, many NYC galleries are using the event as an impetus to showcase the Japanese photographers they represent. Below is a run-down of both the Shashin Festival itself, and the co-mingled NYC Japanese photography exhibitions happening around the same time. Shashin Photography From Japan Festival. April/May 2015, NYC. The word simply means photograph in Japanese. Yet the art of making photographs in Japan has centuries old roots in the country’s traditions of graphic art and design. Shashin is a visual language informed by cultural extremes: strict protocols and unconventional attitudes, ancient detachment and futuristic enterprise, teasing innocence and hyper consumerism. Japanese Shashin artists articulate photography in and through installations, dance, film, writing and other art forms. The stated purpose of the Shashin festival is to raise awareness of Japanese photographic culture in NYC, and to foster and stimulate dialogue across segments of the population that have an abiding interest in it: scholars, academics, art/book collectors, artists, photographers, students, etc. It is a joint collaboration between the Council for Photography from Japan, the International Center for Photography and the New York Public Library. The festival kicks off with a 2-day Symposium, which will include panel discussions on Experiments in Japanese Photography (1968-1979), Protest and Performance, Disaster and Vision and the Japanese Photobook. All panels include discussion and scholarship from leading curators, historians and critics in the field; many panels also include artist presentations or performances. The artist/performance roster currently includes Kunié Sugiura, Naoya Hatakeyama, Daisuke Yokota and Aki Onda. All symposium events are to be held at the NYPL on April 24—April 25th. You can register for the event here. This will be a pop-up event hosted by 10×10 Photobooks (the collective behind the eponymous recently published guide, and a platform for photobook events, co-sponsored by ICP) that will showcase photo-based zines from artists in Japan and from the Japanese diaspora. An open-call for submissions generated all of the submissions on display at the pop-up. I am uncertain as to whether any of the zines will be for sale, or if it is to be regarded mostly as a reading room event. In any case, it will provide a rich and rare opportunity to get an immersive look into the underground photographic zine scene of Japan, which is now where so many new photo stars get their start. 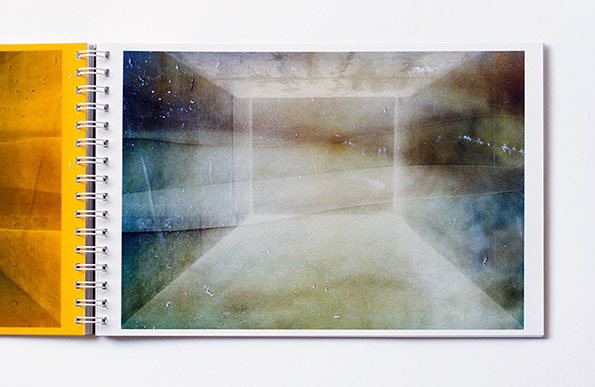 Daisuke Yokota, Book Performance of Untitled. May 2, 2015. 12:30-4:00pm, venue TBD. 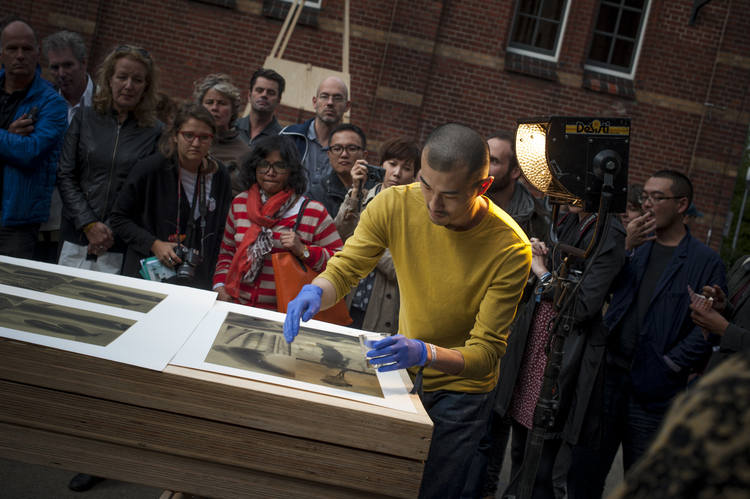 Photographer Daisuke Yokota in a book performance at Amsterdam’s UNSEEN photo fair, in 2014. In what I am anticipating as one of the most interesting events from Shashin, the exciting work of Daisuke Yokota will be “performed” in an open-air venue. In some book performances, entire edits of a book are created on-the-fly, and at other times, in conjunction with the participating audience choosing and making their own selections. In this performance, Yokota will be demonstrating some of his very unique technique of creating distressed images, which involves application by hand of ascetic acid to the prints, which have been screen-printed onto a thin layer of brass, thus creating chance distortions and new interpretations from the original images. These images will be used to create a new publication of Yokota’s: Untitled. For full and updated information on all of the events on the schedule for this year’s inaugural Shashin: Photography from Japan festival, please check the events page on the site. Emi Aranjuki, #370 from the series 1800 Millimètres, 2015. Toshio Shibata, Water Colors, Laurence Miller Gallery. March 5—April 25, 2015. Ken Kitano: our face—prayers and Tomoko Sawada: My faces, Pace/MacGill Gallery. February 26—April 25th, 2015. Shozo Kitadai: Forms of Experimentation and Imagination, Taka Iishi Gallery. March 13—June 27, 2015. William Klein: Tokyo 1961, Howard Greenberg Gallery. March 18—May 1, 2015. Hanayo, +81 Gallery. April 17—May 3, 2015. Emi Anrakuji: 1800 Millimètre, Miyako Yoshinaga. April 23—May 30, 2015. Kazuo and Fujiko Shiraga, Fergus McCaffrey. April 30—June 20, 2015. 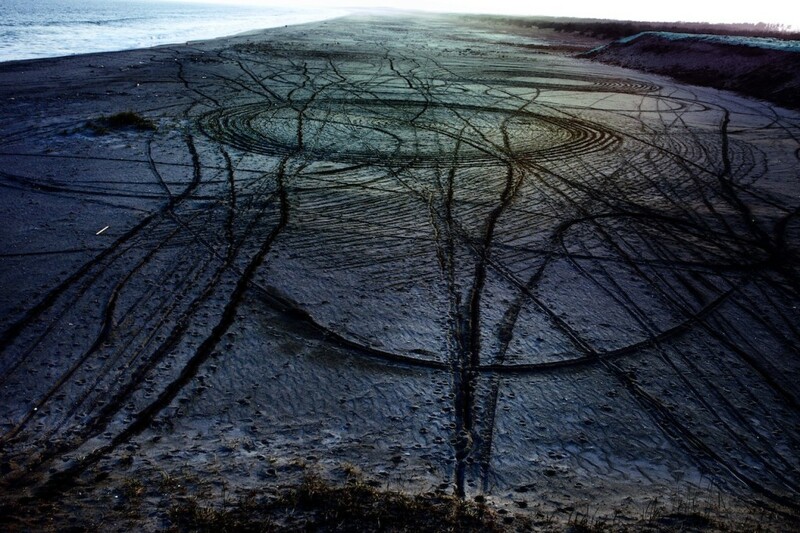 Lieko Shiga’s Rasen Kaigan (Spiral Shore), #46. 2011. In the Wake: Japanese Photographers Respond to 3/11, MFA Boston. April 5—July 12, 2015. 17 photographers including Takashi Homma, Shimpei Takeda, Masato Seto, Nobuyoshi Araki, Lieko Shiga, Kikuji Kawada, Naoya Hatakeyama and others. Here’s a recent review of the show from Hyperallergic. For a New World to Come: Experiments in Japanese Photography 1958-1979. MFA Houston. March 7—July 12, 2015. This exhibition explores in depth, for the first time, the role of photography in the formation of Contemporary art in Japan. Presenting 250 works from 29 different artists, A New World to Come examines photographs, photo books, paintings, sculpture, and film-based installations made during a time of radical societal change. The Younger Generation: Contemporary Japanese Photography, The Getty. October 6, 2015—February 21, 2016. This exhibition celebrates the emergence of five talented female photographers from Japan whose careers began in the 1990s and 2000s—Kawauchi Rinko, Onodera Yuki, Otsuka Chino, Sawada Tomoko, and Shiga Lieko. Selected series by these artists evoke the influence of Ishiuchi Miyako, whose work is showcased in the companion exhibition Ishiuchi Miyako: Postwar Shadows. Kusakabe Kimbei, Kusakabe Kimbei, Wind Costume, ca. 1870-1890, albumen print. A large selection of SFMOMA’s excellent Japanese photography collection has been on loan out while the museum undergoes its expansion. Below is a list of Japanese photography exhibitions in 2015 with material on loan from SFMOMA. 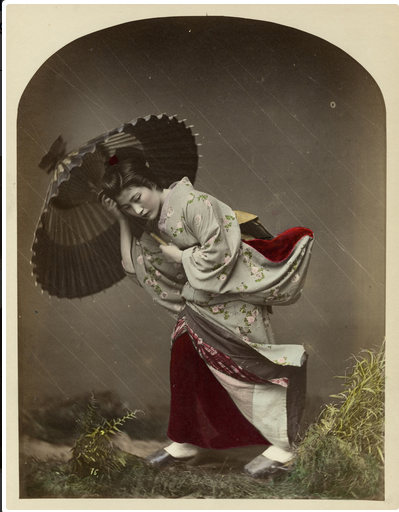 Posing Japan: Photographs of Kusakabe Kimbei, California Museum of Photography at UC Riverside. December 20, 2014—July 3, 2015. The Provoke Era, California Museum of Photography at UC Riverside. February 28—May 16, 2015. Includes work from Masahisa Fukase, Eikoh Hosoe, Daido Moriyama, and Shomei Tomatsu. Interrogating Manzanar: Photography, Justice, and the Japanese American Internment, California Museum of Photography at UC Riverside. March 14—July 18, 2015. Photographs by Ansel Adams, Clem Albers, Dorothea Lange, and Tōyō Miyatake. The Flakphoto Weekend Digest. From Flakphoto founder and photographic impressario Andy Adams: “The Digest is a weekend reader: something you can spend time with when the work week slows down — an opportunity to sit back and relax with a handful of photo/arts links on your mobile or tablet. Email arrives on Saturdays so you can enjoy over a hot cup of coffee (or tea) when you have a moment by yourself. 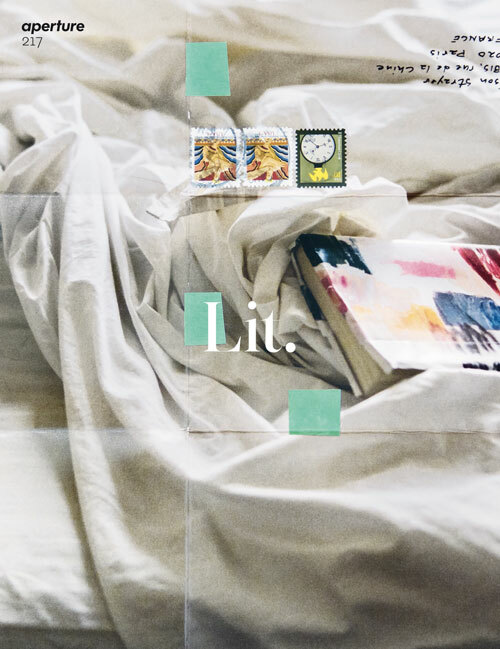 It’s the perfect thing for a lazy Sunday morning.” The digest is in beta now, but I’ve received four editions so far and the information is so choicely curated, concise and just the right formula of curiosity and connoisseurship for a weekend read. You can sign up to receive the digest for when it leaves beta-testing here. I highly recommend that you do. Superscript: Arts Journalism and Criticism in a Digital Age, 3-day conference at the Walker Museum of Art. May 28—May 30, 2015. I learned about this event from Andy Adams in one of his weekly digests, actually. What is the role of the online art critic, and what are some possible futures for online arts journalism are a couple of the driving questions this conference will be addressing. With participants from Frieze, Hyperallergic, Rhizome and more, the potential for this event is amazing in that weird, the-universe-is-speaking-only-to-me kind of way. If all is well with the universe and the planets are in the right alignment, I will be at Shashin Festival in late April and at this conference in late May. If so, you can bet I’ll report back here on both. LPV Episode 2.9: Russet Lederman & Jeff Gutterman. This is from last month, but I am just now finding out about it and listening to it. This is Bryan Formhals’s photography podcast, with this episode focusing on talking to one of the founders of 10×10 Photobooks and the Photobooks Facebook Group (a dangerous and expensive place to lurk!). Lederman owns and has access to original editions of canonical Japanese photography that I can only dream about, and decades of passion and experience in an area that, by comparison, I am but an enthusiastic novice. It’s a great pleasure to hear someone so knowledgeable and so generous about her knowledge hold court. Utagawa Yushiiku, The Story of Otomi and Yosoburo, 1860. 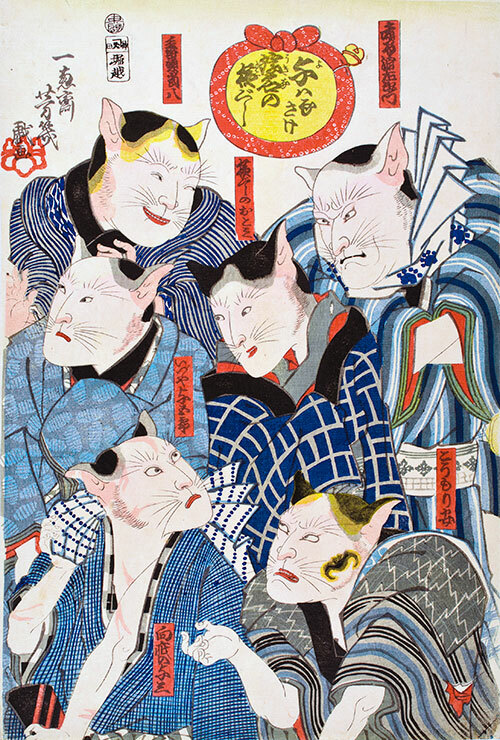 Life of Cats: Selections from the Hiraki Ukiyo-e Collection, Japan Society. March 13—June 7, 2015. Not really photography, but if you appreciate Japanese photography and things Japanese, you’d probably enjoy this show. The Japan Society is a beautiful space, and it’s happening during Shashin, so why not?